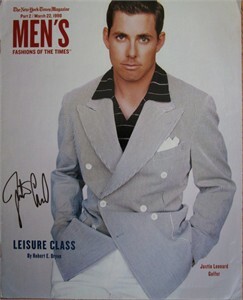 1998 New York Times Magazine Men's Fashion COVER ONLY autographed in black marker by PGA Tour star Justin Leonard. Obtained in person, with certificate of authenticity from AutographsForSale.com. HAS MINOR TO MODERATE HANDLING FLAWS. ONLY ONE AVAILABLE FOR SALE. 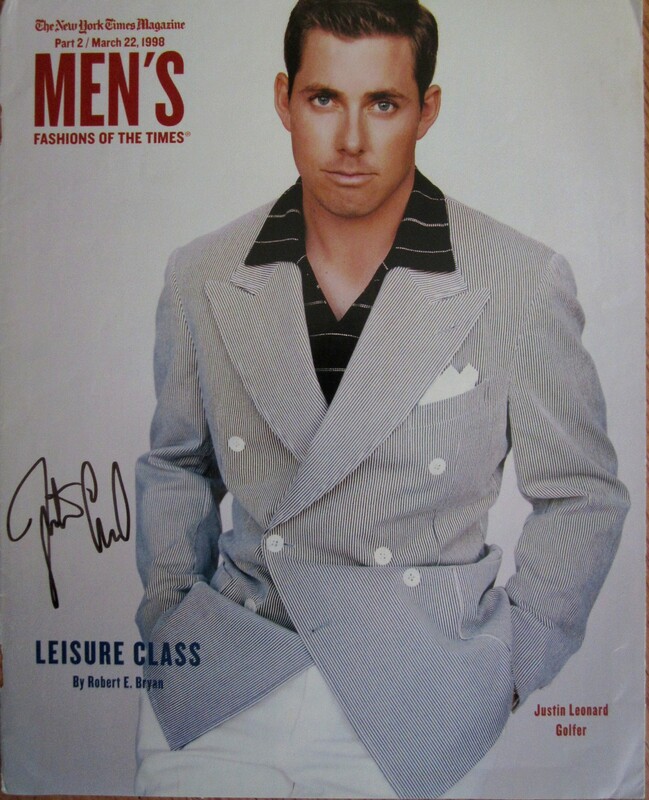 Justin Leonard autographed 1999 Ryder Cup 8x10 celebration photo inscribed All My Best!